The Optoma PRO350W is a new WXGA DLP projector for business, and it has a lot to offer. Its versatile 1280x800 (WXGA) resolution is always a great choice for display from laptops, desktops, and video sources. 2800 lumens of brightness give it the power to light up even very large screens, or allow you to leave the lights on without detracting from your presentation. It is also 3D Ready, though 3D display is limited to 1280x720. If 3D is something your business requires or is thinking about implementing down the line, the PRO350W is an affordable way to get started. If you have no need for 3D, it is still a great projector for your conference room, classroom, or home computer setup. With street prices around $750 and low recurring maintenance costs, it is a lot of performance for not a lot of money. Lumen output. The PRO350W, specified at 2800 ANSI lumens, is a bright projector. In its brightest mode, conveniently called Bright, our test unit measured 2747 lumens. This is 98% of the projector's specified lumen output, and is enough to light up a large screen in ambient light. With the lights dimmed, the PRO350W has the power to illuminate a 150" diagonal screen easily. With room lighting turned up it will still go to 120". Low lamp mode reduces lumen output by 18%, which brings Bright mode down to 2258 lumens. When you don't need the extreme brightness of Bright mode, you can improve color and contrast by selecting another image mode. Presentation mode improves contrast and color saturation and is a great choice for Powerpoint slideshows with lots of graphics. It produced 1815 lumens on our test unit. Movie mode has the best color of the bunch and measured 1535 lumens. Contrast. The PRO350W has a 3000:1 contrast rating, which is typical for an inexpensive DLP projector. In a typical business or classroom environment, ambient light wreaks havoc on black levels. As a result, deep black levels are not expected, required, or especially helpful on a business projector such as the PRO350W. Despite this, the PRO350W can still be calibrated so that black levels are good enough for the casual display of photography in a darkened room or the occasional movie. Color. As is true of all projectors, the brightest image modes have the least accurate color. Bright mode in particular has a greenish tint to it, and color saturation is low. Much better is Presentation mode, which gives a clear and appreciative increase in saturation and removes much of the green tint. This will be the mode of choice for most people using Powerpoint presentations or data graphics, since it offers over 1800 lumens while maintaining some semblance of color accuracy. Other modes, like Movie, further emphasize color saturation and contrast at the expense of lumen output. 3D. 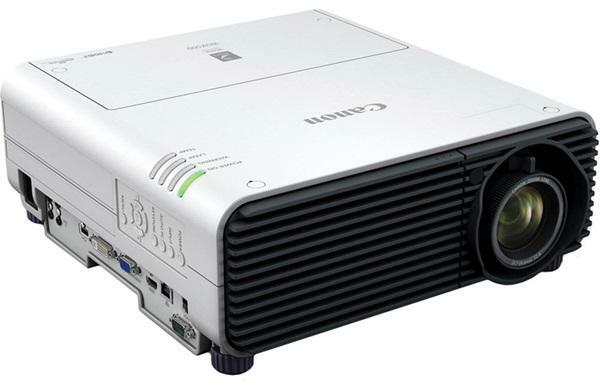 The PRO350W is a 3D Ready projector, so it will display 3D content from a compatible source. This content can be viewed through a pair of LCD shutter glasses compatible with DLP Link. While the PRO350W is a 1280x800 projector, it can only display 3D content up to 1280x720, which it displays at 120 frames per second, which equates to 60 frames per second per eye. Right now, the majority of 3D sources are powerful computers, and content is scarce. Blu-ray 3D is on its way, but it does not appear that the PRO350W will be compatible with the Blu-ray 3D video standard. Thank you for this thoughtful and helpful review. Several things stand out - first, the level of technical detail is about right. Secondly, the insights about how the product might perform in the real world context are great. Finally, the pros and cons are well done. The shortcoming in the remote for this particular projector system are a concern for me but probably secondary to its positive characteristics. Has anyone actually used this projector? I have a Sharp XR-32X at present (that I'm in love with BTW using it for my home theater). I have an opportunity to trade it in and I was looking at this as a possibility. Experts? Should I? I saw the comparison feature on this site and on paper the Optoma seems to be better. I'm just concerned about it in practice. The good: (1) A bright projector! This unit replaced a Dell 3200MP (rated at 1300 ANSI lumens) and is noticeably brighter. (2) Colors appear much more vibrant than the Dell 3200MP. (3) WXGA resolution; takes full advantage of 720P HDTV. (4) Significantly quieter than the dell 3200MP, at least until you run it in lamp-bright/high-altitude modes. The not-so-good: (1) No magenta segment in the color wheel resulting in the need to reduce brightness in the other color channels to avoid a green bias. (2) Rainbow effect appears more noticeable to me on this projector than it did on the Dell 3200MP. I'm not smart on the color wheel speeds on either projector, so I can't say why, but it might be a byproduct of TI's BrilliantColor(TM) technology as the Dell used a simple RGB wheel. (3) Image frame is not square at top; shows a small amount (not really noticeable to me) of pincushion distortion at top of frame at minimum zoom; more pronounced (noticeable to me) pincushion distortion at top of frame at maximum zoom. Probably due to budget optical design as the entire projector costs less than a mid-grade 35mm SLR zoom lens. (4) Lens construction was definitely not done in a clean room. When the projector is running, dust particles are clearly visible on most of the internal surfaces of the multi-element lens. (5) REALLY BAD: The lens appears to lack some critical baffling at its rear (part closest to the DLP chip) as there is a moderately bright "ring" reflection originating from this location. I can't say how much this design oversight reduces contrast at the projection screen, but it does flood your viewing environment with unnecessary light. It doesn't seem to me that it would have been prohibitively expensive to add the appropriate baffling to reduce this reflection. (6) The mechanical tilt adjustment (each of the three feet is threaded for roll and pitch adjustment) is very limited when compared to the keystone adjustment range. For moderately high throw angle scenarios, you're going to have to set the front of the unit on a book or some other platform to raise it up. Only business travelers will care about this one. Overall rating: 6 out of 10. Worth the money? A definite "maybe". I have this projector in my bedroom set about 85" and it is awsome does do 1080p perfect for my ps3 and cable looking to make it do 3D but not sure how to do so just yet still doing some research but for the money you cant beat this protector the it is very clear and I dont even have it on a screen yet its only on my wall which is a tan color. I rate it at 10 for sure. I have the PRO 350w, I have had it for over a year. I started seeing dead spots in the screen. It went from one small spot and grew over time. I had the projector repaired, I am still not happy with the projector. I wish that I had got a true 3D projector. The projector is not a true 3D projector, I called the company and they said that it is limted 3D, I am disappointed. I wish that I had got another projector. (sad face).